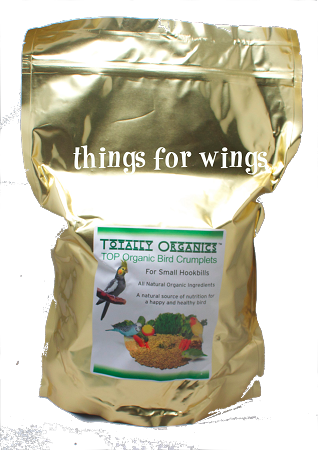 TOP’s Small Pellets for small parrots and ones who don’t like to hold their food in their feet. TOP’s Small Pellets do not contain any fillers, like soy or corn. NO BHA, BHT or ethoxyquin. NO artificial colors, flavors, vitamins, preservatives, or sucrose/sugar. No wheat or any nuts. Harrison's High Potency Mash 1lb.